Reiter’s disease is a complication of untreated chlamydial infection (this patient). 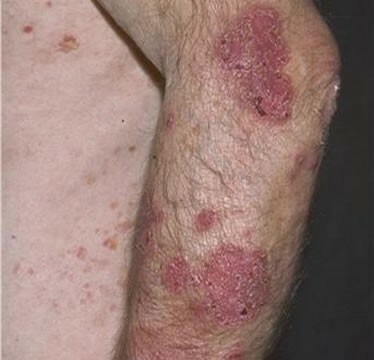 The clinical manifestations of Reiter’s syndrome include acute arthritis/arthralgia, lower uro-genital tract inflammation, mucocutaneous inflammatory lesions and conjunctivitis. Acute Reiter’s syndrome can also be accompanied by systemic symptoms such as fever, malaise, anorexia and weight loss.